Country star and combat veteran of the 75th Ranger Regiment, Keni Thomas, released a music video for his song “Hold the Line,” just in time for Veterans’ Day. The video draws attention to the struggles faced by the men and women of the Armed Forces, specifically upon their return home from tours of duty. This transition to a “new normal” can be tough for both service personnel and their families. The combat veteran is not the same person they were before they left. How can they be? But at the same time, at their core, they are still the person who loves you, who cares about you, who wants to be the husband, father, mother, wife, friend they were before. And to do that, they will need our help. Hold the line, hold the line, shoulder to shoulder and side by side. You give it your best and I’ll give it mine, we can win this together if we hold the line. Hold the line, hold the line, shoulder to shoulder and side by side. We gotta have faith, yeah the sun’s gonna shine, we’ll get through this together if we hold the line. Hold the line, hold the line, shoulder to shoulder and side by side. In a world going crazy in these troubled times, we gotta stand together, we gotta hold the line. Keni Thomas’ song is a tune of brotherhood and unity that could only be delivered with so much heart and soul by somebody who has been through the trials and tribulations that are demonstrated by the storytelling in the video. The artist behind the song is certainly no stranger to the predicaments about which he sings, as Keni is a veteran who was one of the Task Force Rangers who fought in Somalia during Operation Restore Hope. He has consulted on movies like Black Hawk Down and We Were Soldiers. 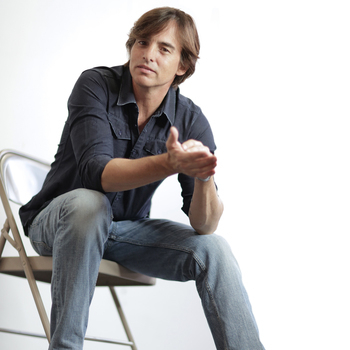 For information on how to book Keni Thomas for your next event, visit PremiereSpeakers.com/Keni_Thomas. Click the image above to see Keni on Fox &amp; Friends. For information on how to book Keni Thomas for your next event, visitPremiereSpeakers.com/Keni_Thomas.